When your 2-wheel beauty rolls out of the garage - polished and ready to take over the highways, remember that safety comes first. A proper headlight that can light up even the darkest forest road will help you get back home safely. Combine it with your favorite music on Full Blast – and we dare to promise you that all your motorcycle trips will become a fantastic experience, regardless of wind and weather. 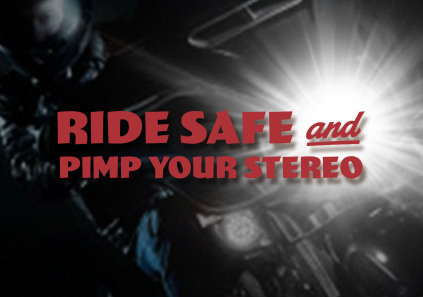 We are specialists in LED lights and Arc Audio systems for your motorcycle. It's all "plug & play" - just ready to install without any hassle. Quality is our main focus. Because we know that you have spent a fortune on your motorcycle and therefore it deserves only the best. At Full Blast Inc, we only offer products of the highest quality – just as we expect it ourselves! All our LED lights are made from the best materials and state-of-the-art technology - whether you have a brand new motorcycle or aging classic, we have the lights for it, both in black and chrome edition. Lights and sound systems are of course approved at all conceivable levels. CE, RoHS, TÜV, DOT SAE E9.